The RCN has published updated evidence-based guidance on termination of pregnancy. Under the supervision of a registered medical practitioner, nurses now plan, lead and manage a significant proportion of care for women undergoing medical termination of pregnancy. The current legislation, which governs the issues of how a termination of pregnancy is allowed, comes from the Abortion Act 1967, which was revised and updated in the Human Fertilisation and Embryology Act 1990. The Act covers England, Scotland and Wales but does not apply to Northern Ireland. The RCN has published updated guidance on termination of pregnancy, incorporating expert and evidence-based advice. It has been produced to support registered nurses and midwives working in the NHS and independent sectors. 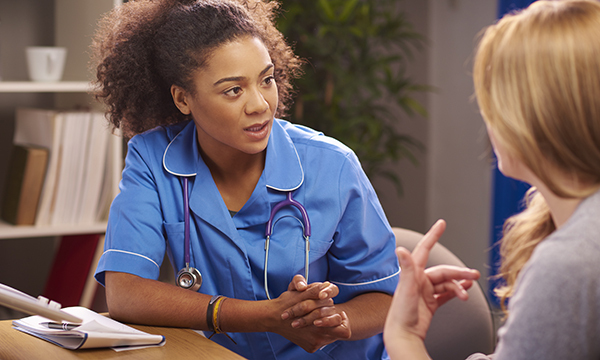 It is important that nurses understand the complexity of the decision-making process surrounding termination of pregnancy and consider the needs of the wider family or social group, if that is what the woman wishes. There are two options for termination of pregnancy. The medical termination of pregnancy involves the woman taking an anti-progestogenic steroid, followed some time later by a prostaglandin. The anti-progestogenic steroid effectively blocks the action of progesterone, preventing the pregnancy from progressing. It also facilitates the process of medical termination by sensitising the uterus to the prostaglandin, which induces uterine contractions and softens and dilates the cervix. The surgical termination of pregnancy involves the physical removal of the pregnancy from the uterus. The surgical procedure method is determined by the gestation of the pregnancy. In the UK, the termination of a pregnancy is a safe procedure for which major complications and mortality is rare at all gestations. There is some evidence that the earlier in pregnancy a termination is performed, the lower the risk of complications. In later-stage termination of pregnancy there is the possibility that the fetus could be delivered live or showing signs of life. Appropriate local policies should be in place to manage this. A primary principle in termination of pregnancy care is to ensure that a woman should always be given as much information as possible about available options and the opportunity to discuss the risks and benefits as well as the emotional, psychological and social issues of continuing or not continuing her pregnancy. Nurses working in this specialist area should have access to appropriate continuing professional development to enable them to provide high-quality, evidence-based care. ‘The document not only provides guidance and information for nurses and midwives working directly in abortion care, but also provides invaluable information for nurses and midwives who may be speaking to women about their pregnancy options and routes of referrals into termination services.